Azaria Mbatha occupies an important place in the history of printmaking in South Africa, particularly with regard to his influence on a host of black artists who practised printmaking. However, his role and position in that history is the subject of debate and not as straightforward as has sometimes been portrayed. Regarded by many as the ‘quintessential’ black South African artist, Mbatha has spent all but a fraction of his artistic career outside South Africa, primarily in Sweden. The theological aspects of his work, his use of African historical symbolism, plus his positioning of himself as a black artist, are among issues that require further investigation. As an elder artist at Rorke’s Drift he taught John Muafangejo (qv.) and his direct influence on other artists is incontrovertible. His preferred use of linocut led to many black artists making it their primary printmaking medium, although, as has been pointed out elsewhere, many black artists primarily used linocut for technical and cost reasons. Interestingly, Mbatha has also produced a body of intaglio prints and screenprints of great quality but regards these as private works not for public consumption. Mbatha has always understood his role as an artist as a didactic one. Linocuts like Jesus after death (plate 178) have a consistent narrative structure. As in most of his work the composition is characteristically divided into three tiers and the narrative is enlivened with a brilliantly-organised pattern. It requires a careful ‘reading’ of the myriad images which cover the entire sheet. The incorporation of texts into the design results in a work which resembles a homily in its seriousness of purpose and intent. Mbatha is on record as saying that he wished to ‘Africanise’ the whole Bible, and an appreciation of his work must also take into account the concurrent rise of a black theology in southern Africa. Mbatha claims that he wants to reconcile Christian values with the myths and realities of his African, specifically Zulu, heritage. However, it should not necessarily be assumed that his use of black figures is consistent with this aim. Mbatha has also used black and white faces in his religious prints for aesthetic reasons, where the colour was chosen purely for artistic reasons and as a pattern maker par excellence he would have been acutely sensitive to these design needs. Inextricably linked with the legacy of the Evangelical Lutheran Art and Craft Centre at Rorke’s Drift, Mbatha’s impressive body of work over the years justifies his place as one of the most important printmakers in South Africa. Born Mahlabatini, KwaZulu Natal, 1941; has lived in Sweden since 1969. Training 1960–1964: Evangelical Art and Craft Centre at Rorke`s Drift, Natal. 1961–1965: Konstfachskolan, Stockholm. 1977–1980: University of Lund, Sweden, where he studied Social Sciences. Selected Exhibitions 1965 onwards: Group Exhibitions in South Africa, United Kingdom, Sweden, Belgium, The Netherlands, Germany. 1962: Solo Exhibition, Sweden. 1966: Republic Festival Exhibition, Durban. 1970: National Museum, Stockholm, Sweden. 1972: SA Graphics, Goodman Gallery, Johannesburg. 1973: Art SA Today, Durban Art Gallery. 1976: Black SA Contemporary Graphics, Brooklyn Museum, New York. 1980: African Art Centre, Durban. 1981: Black Art Today, Jabulani Standard Bank, Soweto. 1982: Solo exhibition, SA Association of Arts, Pretoria. 1983: Prints from the Block: Gauguin to Now, Museum of Modern Art, New York. 1984: International Print Biennale, Bradford, UK. 1987: Contemporary SA Prints and Drawings, Iziko SA National Gallery, Cape Town. 1988: The Neglected Tradition, Johannesburg Art Gallery. Collections, Bradford City Art Gallery, United Kingdom; Iziko South African National Gallery, Cape Town; Johannesburg Art Gallery; Durban Art Gallery; National Museum, Stockholm, Sweden. Awards 1965: Prize Winner, Art SA Today. 1982: Prize Winner, Bradford Art Biennale, United Kingdom. 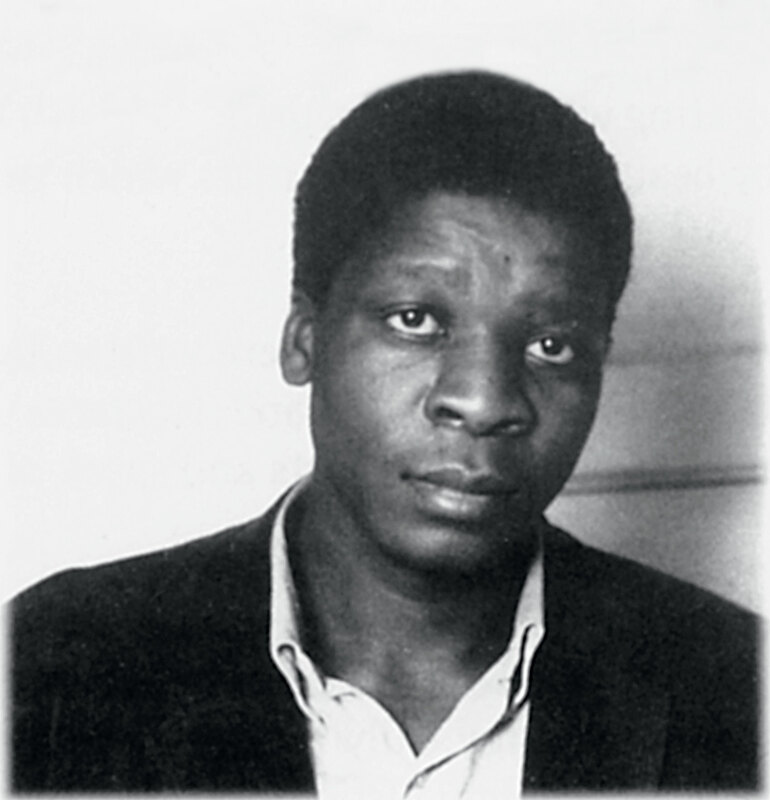 Azaria Mbatha after his return to South Africa in 1967. Source: Azaria Mbatha. Photographer unknown.